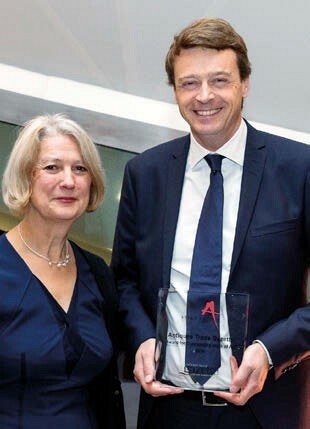 Copenhagen auction house Bruun Rasmussen and London dealer Grace Tsumugi Fine Art were the recipients of the 2018 Asian Art in London Awards, co-sponsored by ATG. The winners were announced at the 21st anniversary AAL gala party at the Serpentine Sackler Gallery, Hyde Park, on the evening of November 1. Bruun Rasmussen is the first overseas recipient of the auctioneer’s award: recognition that the event (running until November 10) now welcomes participants from across Europe. 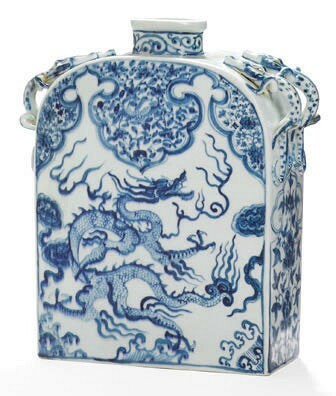 The panel of judges praised a 13in (33cm) Yuan dynasty (1280-1368) blue and white porcelain flask with dragon handles as “exceptional among several excellent porcelain entries on this year’s shortlist”. The form is unique to the 14th century and only six others, including a very similar flask in the V&A, are known. Bought by the owner in a Danish antiques shop c.1980, it carries an estimate of DKr1m-1.5m (€135,000-200,000) at Bruun Rasmussen on November 27. Taisho era lacquer boxes by Koda Shûetsu from Grace Tsumugi. The prize for the best dealer object was given to “a textbook example of early 20th century Japanese artistic perfection and the complex and time-consuming production of lacquerwork” – a matching Taisho era (1912-26) maki-e writing box and document box c.1910-15 by Koda Shûetsu (1881-1933). The 21st anniversary AAL gala party at the Serpentine Sackler Gallery, Hyde Park on the evening of November 1. Image: Phil Adams Photographer.